Under the Lake and Before the Flood form Toby Whithouse's first two-part Doctor Who story – and it hinges on time travel – and fairly mind-bending time travel at that. While plotting and writing, did Toby ever come to regret taking the wibbly-wobbly, timey-wimey route? "Oh never, I loved it! I've always wanted to do a timey-wimey episode," he says. "In fact, it was going to be a lot more timey-wimey, but we lost some of that before we started filming. It's enormous fun to deposit something in a script, then have the reason for it happen later." 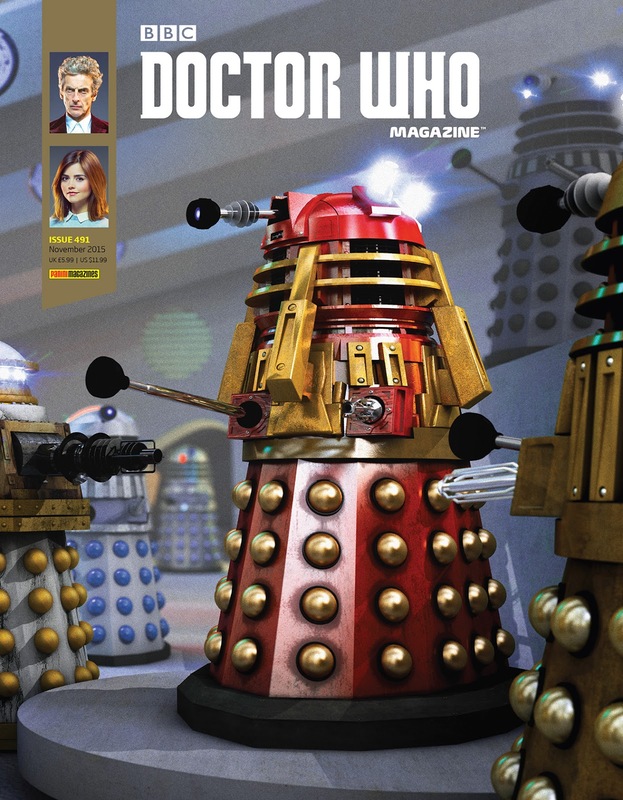 This is also the first story that Toby's written to star Peter Capaldi as the Doctor. "I think he's the most 'alien' Doctor we've had since the show came back," says Toby. "Even though the essentials of the character remain the same – his heroism, his brilliance, his enthusiasm – he feels to me like much more of an outsider than Chris Eccleston or David Tennant or Matt Smith were. He's more strange and otherwordly. That's really interesting to play with." TARDIS TAKE-OFF! 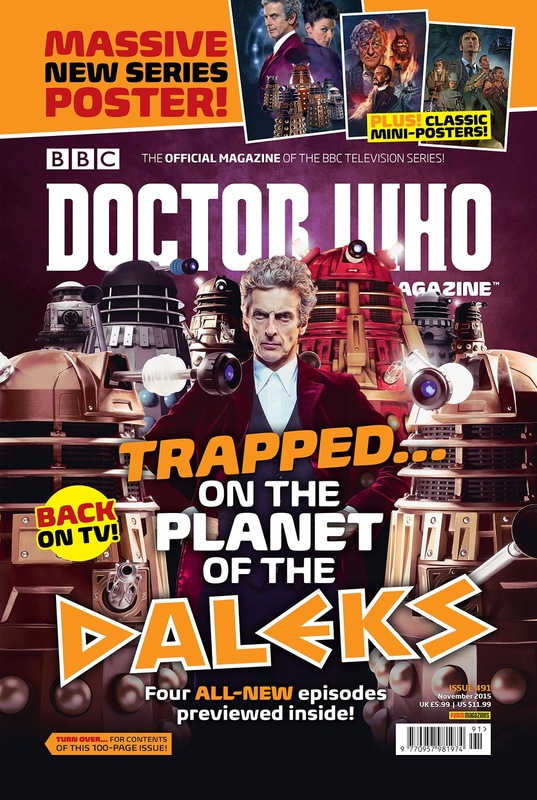 The Doctor's days off and the TARDIS' take off – showrunner Steven Moffat answers readers' questions. CLARA OSWALD'S 100 IMPOSSIBLE FACTS She has been something of 'a mystery wrapped in an enigma' but we've got to know Clara better than you might think. Jonathan Morris summarises everything we know about the Impossible Girl. MONSTERS OF THE MILLENNIUM How do you go about making monsters for Doctor Who? Millennium FX prosthetic effects supervisor Kate Walshe reveals all! LEGO DIMENSIONS! Official LEGO products and a brand new video game.... Doctor Who is about to enter a new dimension. DWM talks to the team behind the project. BEST DRESSED TIME LORD DWM interviews costume designer Ray Holman, the man behind the Twelfth Doctor's new look. "GOOD GRIEF!" As the Third Doctor returns for a brand new series of audio adventures, DWM talks to the man who is recreating the role made famous by Jon Pertwee: Tim Treolar. THE WAR GAMES The Fact of Fiction explores the Second Doctor's final story, a 10-part epic which threw the Doctor and his companions back into the events of the First World War. JUNGLE FEVER! The adventure continues in the brand-new comic strip adventure, Spirits of the Jungle, by Jonathan Morris, illustrated by John Ross. 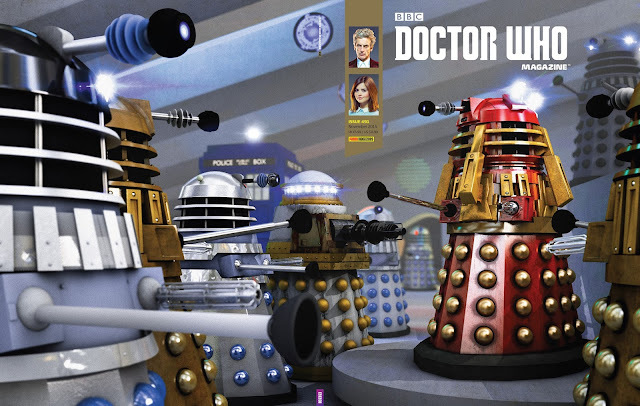 WHO HOMEWORK Jacqueline Rayner makes her kids' summer homework fun with an exciting Doctor Who project in her regular column, Relative Dimensions. MISSING IN ACTION Graham Kibble-White reviews The Macra Terror, a Second Doctor story missing from the BBC archives. COMING SOON DWM talks to the people involved in the latest Doctor Who CD and book releases, including Justin Richards and Miranda Raison. THE UNEXPLAINED The Watcher reflects on past Doctors and anticipates the new series of Doctor Who in Wotcha!. PLUS! All the latest official news, reviews, competitions, The DWM Crossword, and much more! AND! A giant-sized, double-sided poster!